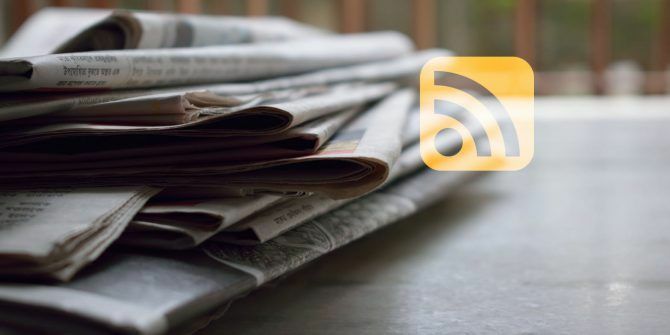 RSS feeds remain one of the best ways to receive news headlines Is RSS Dead? A Look At The Numbers Is RSS Dead? A Look At The Numbers RSS isn't dead: millions of people still use it. Let's look at a few numbers. Read More and exciting articles from your favorite sites. It’s especially true when you’re working on a desktop computer. Yes, you will find plenty of RSS readers for Android and iOS, but the 20-year-old technology really comes into its own when you’re using a full-screen app on a large monitor. If you’re a Windows user, there are two ways to install RSS apps. You can either download an EXE installer or grab something from the Windows Store. Some apps offer both formats; others are unique to the Store. If you’d like to install an RSS app from the Windows Store, you’re in the right place. In this article, we’re going to introduce you to seven fun choices. Readiy is a Feedly reader. If you have a Feedly account Unofficial Guide To Feedly: Better Than Google Reader Unofficial Guide To Feedly: Better Than Google Reader Do you hunger for the best desktop and mobile RSS reader ever made? For both the hungry and the hopeful, Feedly satisfies. Read More , you can use Readiy to access your content more dynamically. If you don’t have an account, you can make one for free. The app has been designed to be fast but beautiful. You won’t find endless amounts of unnecessary features that you’ll never use, but we think that’s a good thing. It makes this one of the best Windows RSS readers out there. You will need to use your Google, Facebook, Twitter, or Microsoft account to log into the Readiy interface. From a user numbers perspective, Newsflow isn’t as popular as Readiy. But if you’re looking for a Windows RSS reader with a few more features, it’s ideal. 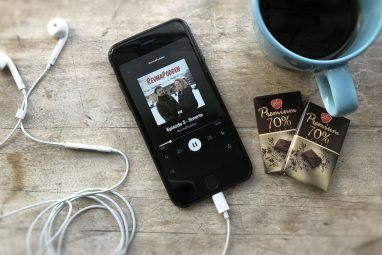 It offers everything you would expect from an RSS reader, including offline access and customizable notifications, but it offers lots more beyond. For example, you can create live tiles How to Create Custom Start Menu Tiles in Windows 10 How to Create Custom Start Menu Tiles in Windows 10 Windows 10 is jam packed with customization options, but some features are neglected. Like the Start Menu. We will help you turn your plain Windows 10 Start Menu into a crisp and beautiful command console! 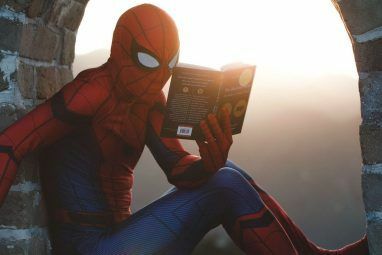 Read More for your news, your favorite categories, your own feeds, and even for authors and tags. The app also offers a Favorite and Read Later feature. It’ll help you keep articles you love on hand while making sure you never miss out on anything important. Lastly, Newsflow supports YouTube videos and HTML videos. You can play both in the app without navigating away. Fedora Reader is another minimalist app that focuses on speed over features. Nonetheless, it offers plenty to keep an RSS junkie satisfied. One of the app’s most impressive features is its ability to pull the whole content off web pages. If you’ve used RSS for a long time, you will know many feeds only include the article’s headline and a truncated description. Fedora Reader solves that by using its own extractor. People who use Pocket The Pros and Cons of Pocket: Save for Later vs. Bookmarks The Pros and Cons of Pocket: Save for Later vs. Bookmarks Both Chrome bookmarks and Pocket are great in their own way. But why would you choose Pocket over a bookmarking service? And in what ways does Pocket fall short? Read More will be familiar with the concept. The app also makes it easy to find new content. There’s a curated list of feeds that you can browse. If you’re looking for ease-of-use, the RSS Central app is probably right for you. The app, which supports RSS, Atom, and RDF feeds, is incredibly easy to navigate. When you fire up the app for the first time, you will see a bunch of sites and feeds ready to add, or you can quickly add your own. It also offers a search feature. During testing, we found the search to work well. It located everything we were looking for in seconds. RSS Central has some features in common with other Windows RSS readers on this list. For example, you’ll find live tiles, an option to see either article summaries or full web pages when you open a story, and even the ability to send articles to your Instapaper account. The app offers a seven-day free trial. When it’s over, you will need to pay a small fee. Veen Reader is a multi-purpose Windows RSS reader. It can act as a standalone reader, but can also integrate with your Feedly account. Interestingly, Veen Reader allows you to add multiple Feedly and/or local accounts, then manage them all through one interface. It’s a great way to compartmentalize different parts of your life. For example, you could use one local account for your hobbies and interests, and another for feeds relating to your employment. Other noteworthy features include a search function, the choice of a two- or three-pane layout, and two different themes. NextGen Reader is perhaps the most recognizable name on this list. Unfortunately, it’s also the most expensive. The app will cost you $5.99, though you’ll often find discounts. So, what makes NextGen Reader worth $5.99? Its most valuable feature is cross-device syncing. Whereas as many of the other apps will only work locally, NextGen lets you catch up with your content from desktop and mobile. The app is pleasing to the eye, offering multiple pane layouts, two themes, and live tiles. The app can also pull content from your Feedly account. Ticker takes an interesting approach to displaying RSS news; it aims to be a live ticker rather than a dull, unengaging app. As soon as the app is running and you’ve added a few feeds, Ticker will start automatically scrolling through the headlines in a loop. To see more information about a story, hover your mouse over the feed. The scrolling will pause, and the content’s description will appear on-screen. The level of customization Ticker offers is perfect for any topic – you can set it up to show everything from sports scores to breaking news. Which Is Your Favorite Windows RSS Reader? We’ve introduced you to seven of the best RSS readers How To Use Gmail As An RSS Reader How To Use Gmail As An RSS Reader One interesting alternative to Google Reader can be found within Google -- one you know won't be going anywhere: Gmail. With a few steps, you can turn part of your inbox into an RSS reader. Read More that you can find in the Windows Store. Each of them has a different interface and a different feature set. To see which one is most suitable for your needs, you should try a few out before making a final decision. Which Windows Store RSS reader do you use? What makes the app unique? Explore more about: RSS, Subscriptions, Windows 10, Windows Store.